Built on a clean slate for OS® X, Sound Forge™ Pro Mac provides a contemporary application environment that’s perfect for recording, editing, processing, and rendering broadcast-quality audio master files. Enjoy lightning fast operations on an elegant interface that feels completely at home on the Mac. Dedicated viewing panels display only the features you need for the ideal workflow, while legacy tools such as event-based editing and a thoroughly updated Plug-in Chainer provide what Sound Forge users have come to expect. A fresh statement on audio editing software, Sound Forge Pro Mac includes a comprehensive suite of mastering, restoration, and repair tools for immediate results. • Configurable viewing panels. Toggle to any project view you need in seconds — see everything at once or toggle your view to see only the features you want, when you want. • Record Audio. Bring pristine audio into your computer — up to 32 simultaneous channels at 64-bit/192 kHz resolution. • Mastering. 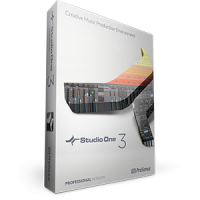 Enjoy instant access to everything you need to prepare, process, and render finished audio master files. Sound Forge Pro Mac includes iZotope’s Mastering and Repair Suite of high-end processing plug-ins that you can use right away by simply dropping them into the application’s Plug-In Chain tool. • Native processing. Enjoy a full range of native processes including fade, flip, mute, normalize, and reverse. • Channel Converter. Change the number of channels in an audio file. Reverse the channels of a stereo file or intermix the channels of a multichannel file to create panning scenarios. • Normalize. Use the normalize feature to accomplish standard peak level normalization, or modify an audio file’s dynamics directly using average RMS level normalization — great for matching the apparent loudness of different recordings. • Partner Plug-ins. Process audio using exclusive plug-ins from iZotope™, and time/pitch modification algorithms from Zplane™. Easily access your AU and VST plug-in collection in. • élastique time-stretching plug-in. Perform flawless time and pitch transposition. Choose from various stretching methods that are tailored to your source audio, including Pro, Soloist, and Efficient modes. Monitor and adjust settings while previewing. • Plug-In Chooser. Display plug-ins and plug-in presets, with filter-by-type and keyword search options always available. Processing audio is as easy as dropping a plug-in or plug-in preset on your track, auditioning the effect, and applying the process. • Plug-In Chainer. The Plug-In Chainer has been redesigned from the ground up for Sound Forge Pro Mac. Load the plug-ins you need and change their order in the signal path while monitoring your sound. Establish a chain, apply and adjust plug-in parameter control envelopes, and render out precisely optimized master files. • Dedicated media browser. Navigate in OS X style directly from within the Media Browser tool. Find compatible audio files anywhere in your system and audition them by clicking dedicated buttons next to each one. Navigate your entire system without leaving the application. • Meters. Meters can display a wide variety of calibrated ranges and display options. Simultaneously view VU and peak program meters. • Regions and Markers. Drop and name markers, create regions from selections, subdivide regions, loop region playback, and fine tune selections. Access the Regions List tool for list-based auditioning and fine tuning. • Time formats. Perform sample-accurate audio file editing in a wide range of industry-standard time formats. • Summary Information, File Properties, and Statistics tools. Easily view, edit, and apply file metadata. The Summary Information tool displays file metadata — select a field and enter the information of your choice. The File Properties and Statistics tools display all the important attributes of your sound files and the selections within them. • iZotope Sample Rate Conversion (SRC). Use when converting material from one sampling rate (such as studio-quality 192 kHz) to another rate (such as CD quality 44.1 kHz). iZotope's SRC protects against the loss of data, aliasing, noise, and unwanted ringing artifacts that appear in other implementations, and utilizes a hybrid low-pass filter along with ringing control, resulting in pristine audio quality and the highest level of control for the engineer. • iZotope MBIT+ dither. iZotope MBIT+ was specifically designed for musical program material — MBIT+ models use real music and not test tones, resulting in the most musical and sonically pleasing dither available.